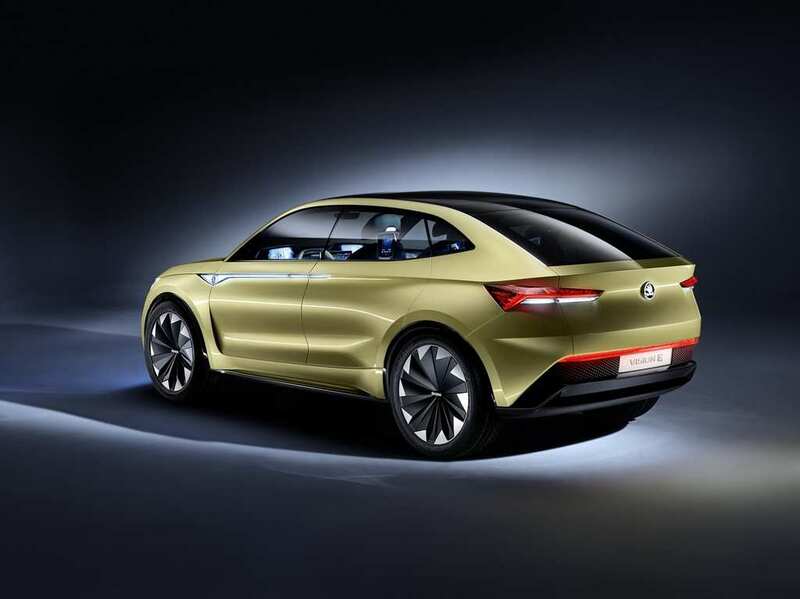 Skoda revealed the Vision E concept at the 2017 Auto Shanghai Show in China back in April and it had received tremendous response. 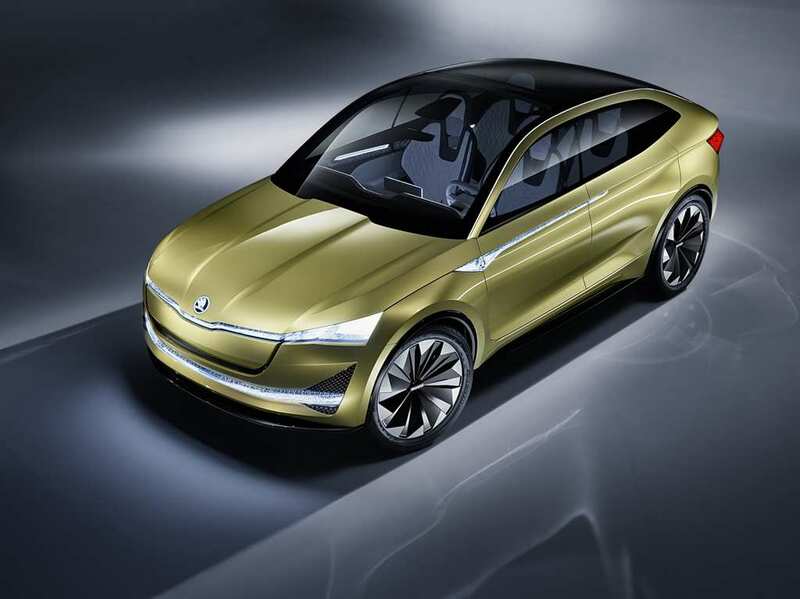 Making its Frankfurt debut alongside Karoq, the EV concept has its styling updated compared to the version we already knew. The changes are barely significant but there is more than just meets the eye. The alloy wheel design is entirely different compared to the previous iteration of the concept while the LED light bar at the front fascia has been moved slightly upwards. 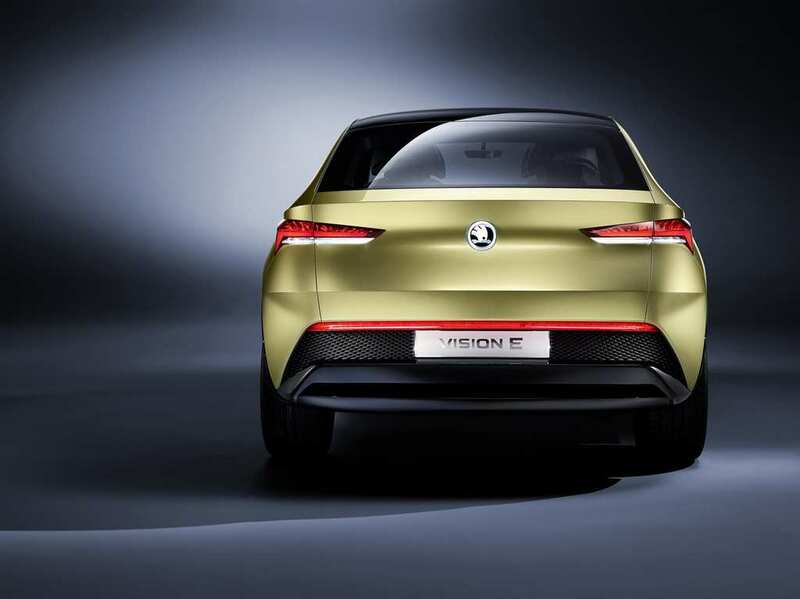 The Czech global automaker has the rear end of the new Vision E somewhat similar to the original version. The minor rework on the front fascia allows for two triangular grilles over the large air inlets and sleek black bumper trim above the lip spoiler. Other important design elements include lack of B-pillars, opposed-opening doors, triangular headlamps, prominent bonnet structure, etc. No interior changes as the concept carried forward rotating individual seats and multiple large touchscreen displays along with features like integrated Wi-Fi hotspot, LTE module, eye tracking tech, gesture control, voice control and Driver Alert fatigue. There is a new trim being pursued atop the dashboard though between the dual touch screens and on the door panels. 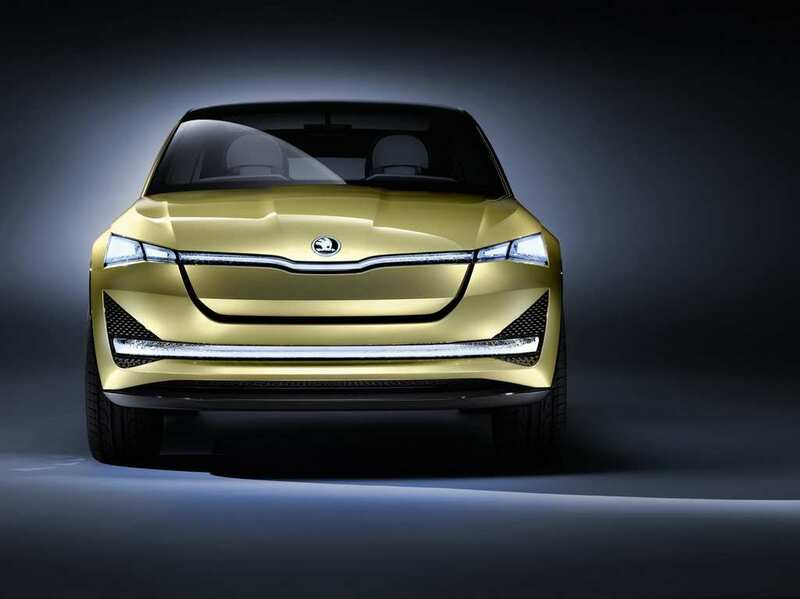 The main focus of the design study is that it gives a dynamic preview of the brand’s upcoming electrified machines in the future. 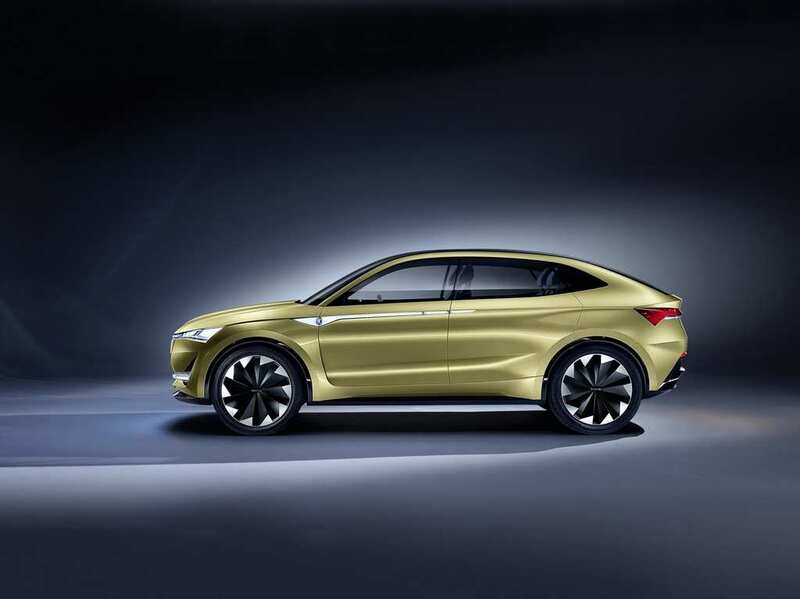 Skoda already announced its intentions to go big with the SUV lineup and expanded it with the introduction of Kodiaq and Karoq. 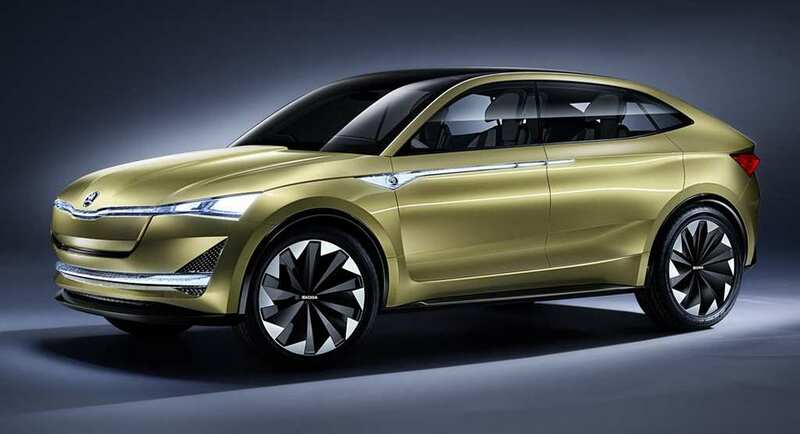 The Vision E concept with its coupe-ish roofline will certainly play a key role in the production design of the electric crossovers in the future. 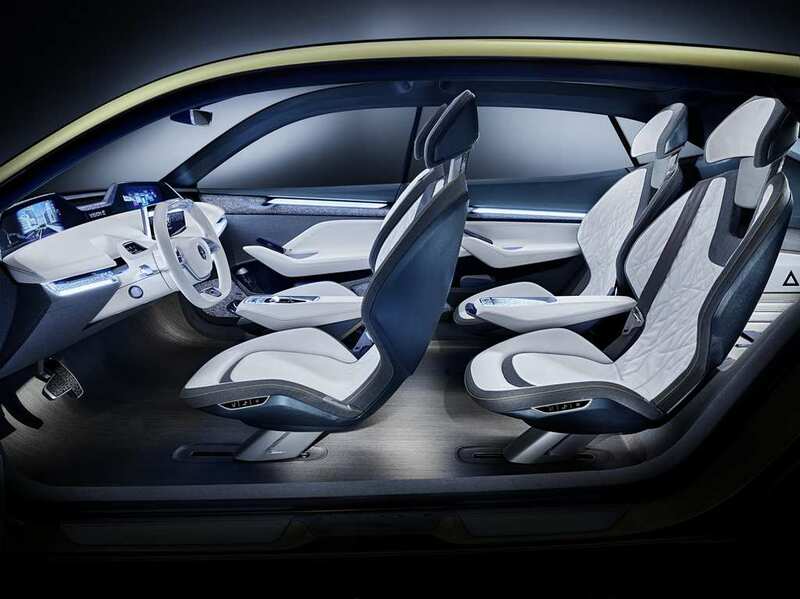 As opposed to the interior and exterior updates, the drivetrain of the concept remains the same. It comes equipped with a couple of electric motors pumping out a combined power output of 306 PS. The motors form a four-wheel-drive system by feeding power to both axles while the top speed is rated at 180 kmph. With inductive charging capability, the battery will be able to do a driving range of 500 km. 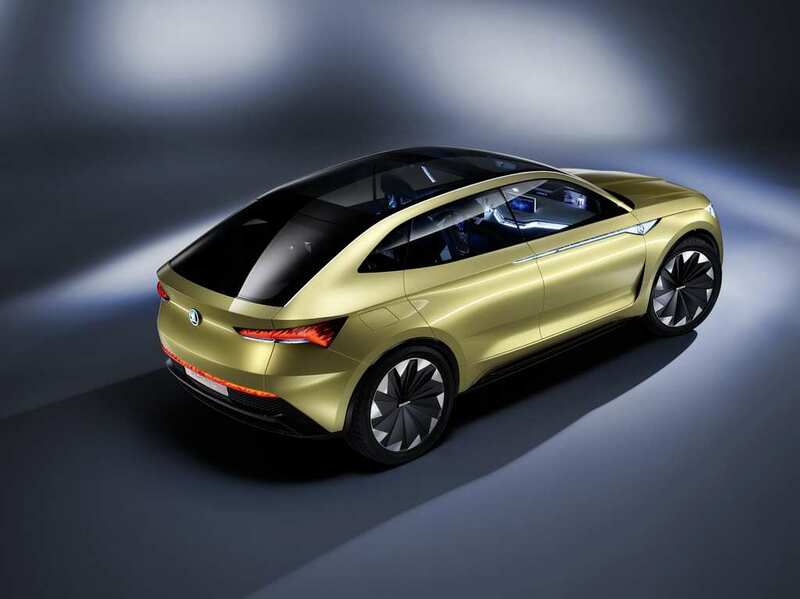 Skoda says the concept is capable of Level 3 autonomous driving meaning that it can accelerate, brake, find parking space, remember river’s preferred parking location, communicate with other vehicles, etc. 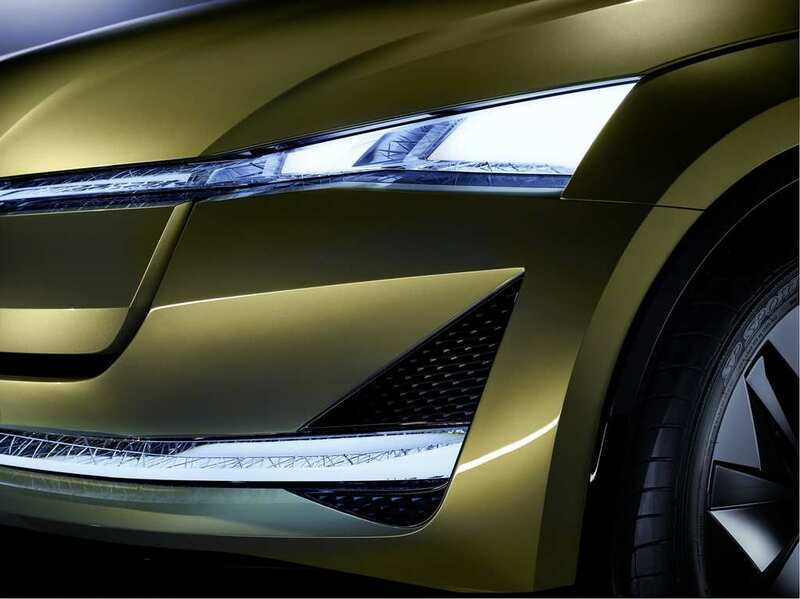 The brand has confirmed that the Superb plug-in hybrid will be introduced as early as 2019 before the first pure electric model the following year based on the Vision E concept.